John Milton said "To be blind is not miserable; not to be able to bear blindness, that is miserable." 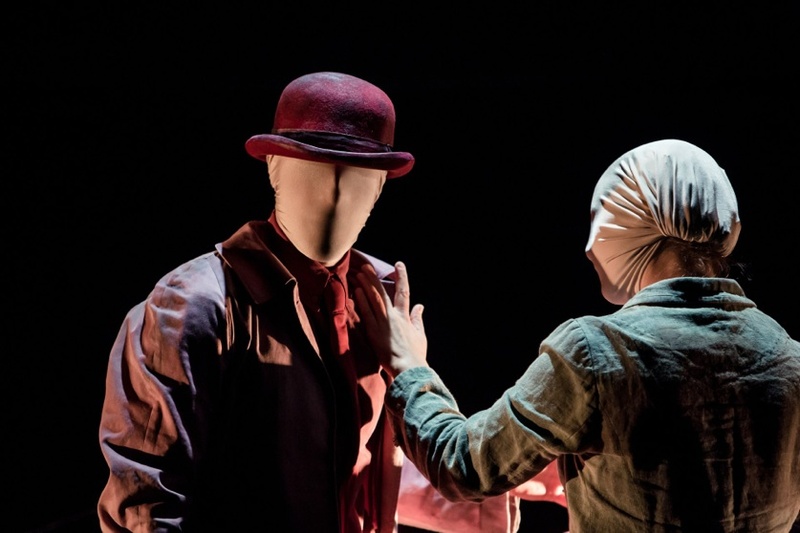 It's a sentiment that feels appropriate to Theatre Re's Blind Man's Song; an interpretive dance performance that attempts to recreate the imagination of a born-blind musician. Sparsely staged; props are limited to a cane, bed and a selection of musical instruments within a piano. As the blind man (Alex Judd) plays a song he's visually accompanied by an abstracted romance. It's 'yer basic boy meets girl story, kicked off by a chance contact and developing into something passionate and heartfelt. The couple are dancers Guillaime Pigé and Selma Roth, clad in red and green and with cloth wrapped around their heads. The narrative eschews words and is told in broad strokes. So broad that if you approach Blind Man's Song hoping to be told a story you're liable to come away rather disappointed. Instead this is a show about communication through movement, music and touch - attempting to understand the ways in which person without sight might perceive the world. 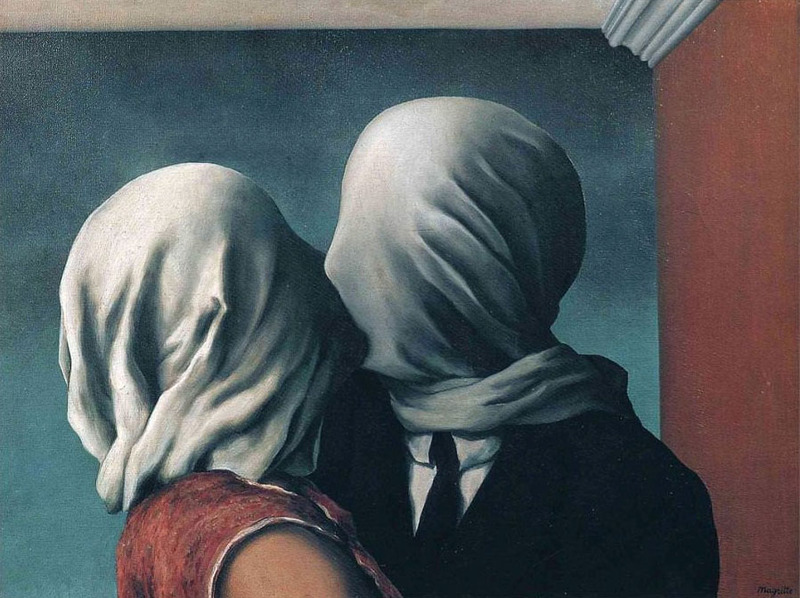 Apparently taking visual inspiration from Magritte's Lovers II, erasing the dancer's visual features forces the audience to understand them through body language. Pigé and Roth are beautifully expressive dancers, each constantly informed by the others motions as they show us a developing romance. At times Pigé reminded me of Gene Kelly stomping through the rain, hat and cane swirling through the air, his movements brimming over with personality and character. For me, the most impressive moment came early on, as the two lovers' first contact is endlessly looped in the blind man's memory. Emerging from a train, they accidentally collide, this couple of seconds endless replaying - a plaintive piano chord repeating at their first touch. Gradually the speed is dialled down, until this tiny, forgotten fragment of time becomes invested with big heaping dollops of juicy meaning. All through this, Alex Judd (who also wrote the music), makes for a neatly scrappy presence on piano and fiddle. He looks like a refugee from a production of Oliver Twist, all scruffy leather coat, vintage sunglasses and lovelorn expressions. He's the mystery at the core of the show, one that's slowly unspun as we work through the contents of his head. At just an hour long, Blind Man's Song moves along at a pretty breezy pace. That said, there were times when the somnolent qualities of the music got to me a bit and, after a long day, my concentration occasionally drifted a little, not exactly helped by a scene in which the characters themselves go to bed. I didn't get as bad as the guy in front of me though; after a particularly dreamy bit he emitted a guttural honk of a snore, causing his wife to give him a sharp elbow in the ribs. Anyone that did silently drift off into unconsciousness was in for a shock. Towards the end of the show there's this piercingly sharp sine blare that just goes on and on and on, I guess to present the character's mental turmoil. It's a bit of a shock that such a relatively sedate show is willing to dish out audio trauma on its audience, and I noticed a couple of people covering their ears to escape it. I personally found it annoying at first, but I appreciate aggressive theatre and, hell, at least it woke me the hell up. I imagine the ideal attendee for Blind Man's Song to be an enthusiastic and knowledgeable follower of contemporary dance. That's not me, but I enjoyed myself nonetheless. It's the kind of show where you get out as much as you're willing to put in. 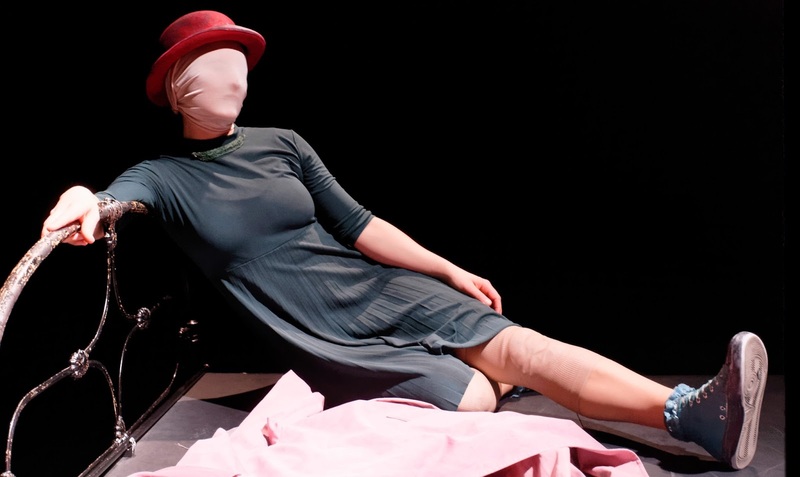 Blind Man's Song is at The Pleasance until 15 May. Tickets here.